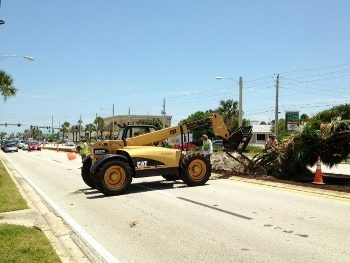 COCOA BEACH, Florida - The City of Cocoa Beach is advising motorists to exercise caution in the vicinity of the intersection of State Roads A1A and 520 due to an ongoing beautification project along the State Road 520 east-west median areas. The City of Cocoa Beach has contracted to have trees, plants and grass installed in the median areas on State Road 520 from the 'relief bridge' near where the speed limit drops to 35 miles per hour, east to the intersection of 520 and A1A. The City of Cocoa Beach says that this project may take approximately 7-10 days to complete. The plant materials will basically match the median landscaping that was installed west of the relief bridge a few years ago near Cape Canaveral Hospital. The city says that this is a budgeted project with funding assistance from the Florida Department of Transportation.